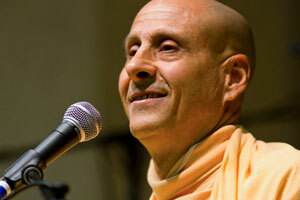 Radhanath Swami Answers : India was subjugated by the foreign Moghul Powers for about 700 years, then by the British powers for about 200 years. It just got its independence around 70 years ago, on August 15, 1947. As we know it has gone through so much: the population growth, the exploitation that has come from foreign powers for so long, the unbelievable poverty, and diseases. When I first came to India in 1970, it wasn’t as crowded. I think that was about 600 million people but when I came here now, there are an over 1 billion people. So, it is about double the size in the same amount of land. Then what is spiritual about all that? Yes, it is true that those things are very much there but underlying it in the heart of the actual tradition of India is the hearts of so many of the people of India, who actually preserve that connection of all religions which is something so deep, so beautiful, and so life changing. Over the years, I have seen so many foreigners come to India and usually what I find is, by the time they leave India they really hate this place because you know, women getting raped and this and that. On the external features there is so much disparity, and so they either get dysentery, they get traumatized, or despite all the things they leave transformed or enlightened because something that is almost invisibly here is so deep and so rich and so beautiful. I see this phenomenon all the time. People come from China, from America, from Europe, from Australia, from South America, from Africa, and so many don’t leave the scene because something has changed in their heart. This something that is very beautiful has given them wisdom and intuition. It says in the Bible, “Seek and you shall find,” so depending on what we are seeking you will find that. There is a lot of inequality, there is the caste system, there are so many things that are very wrong in this country, but below the surface there are some of the most beautiful people, and there is such beautiful wisdom and such a beautiful culture that all these really wrong things are distractions from that. When a lot of times people who just fly into Bombay during a day flight, they see ghettos all around the airport. One thinks, what is going on? And as far as the physical standard of living is concerned, often times it shocks people. When they get out of the airport, when they get into the car, beggars come begging for money: sometimes with leprosy and sometimes with deformed body. I remember, my mother came to India and she had some candy in her purse. She gave it to one of these people and suddenly there was about 50 of them around. She was horrified! Once she got attacked by a monkey. But still when she left, she said, “I met the finest people I’ve ever met in my live.” Their lives were changed. So, let’s go deeper to that substance, beautiful substance that has always been in India despite all of these problems. Great thinkers, philosophers, and saintly people have come to India to be enriched and nourished by it. Even in London, I recently met some European bankers and investors who were really powerful and they have told me so many things like that. One said, “I had an assignment in India and I was horrified when I got there, but by the time I came back home, India was like my mother,” because they went to note beneath the surface into something that was really very valuable.